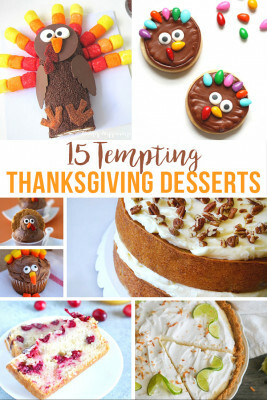 Looking for a fun Thanksgiving dessert that is easy for the kids (even the preschool kiddos?) 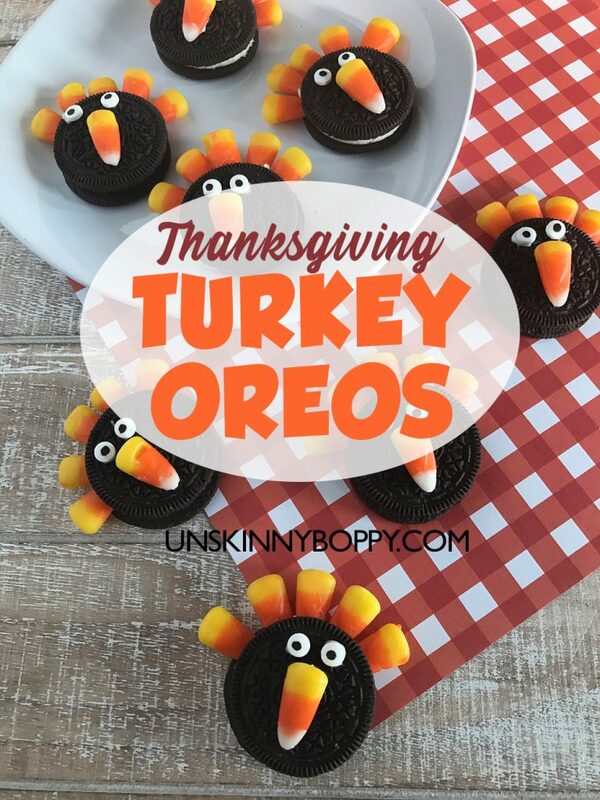 These simple Oreo Turkeys are easy to make at the last minute with storebought ingredients. 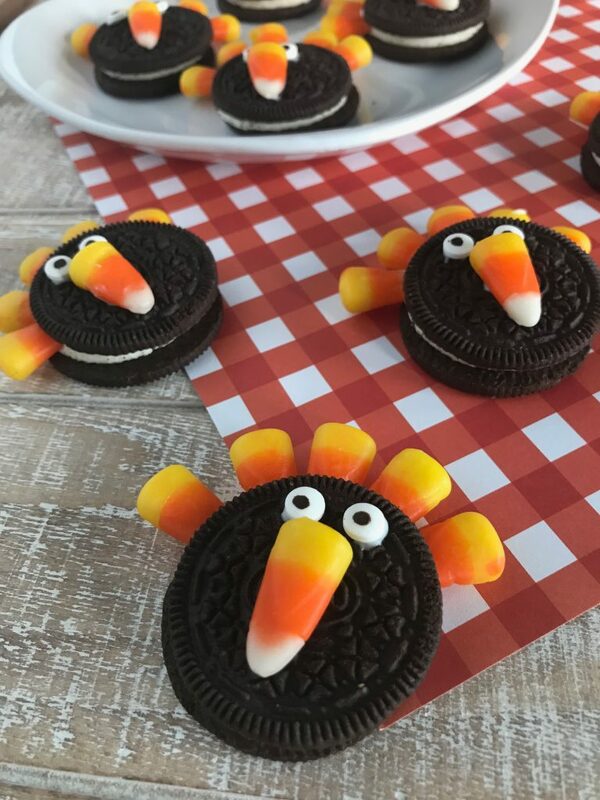 We are suckers for holiday-themed food, so when I saw these Oreo turkeys I knew we needed to make some this Thanksgiving. 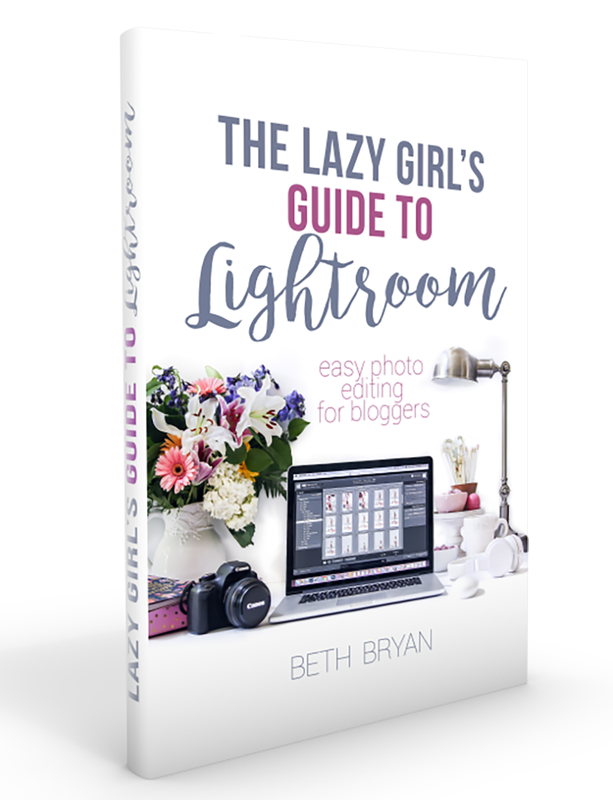 They are SO easy, and the kids love them. 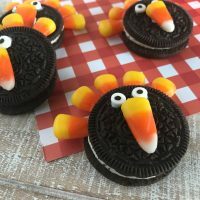 Grab some candy corn and Oreos and assemble these cute little cookies for your Thanksgiving Feast! You will be the hero of the kid’s table with these gobbledelicious treats. 1 package Candy Eyeballs I used THESE. Melt the white dipping chocolate according to package directions giving special care not to overheat the candy. If the candy coating is overheated, it will be too thick. You can add 2 teaspoons of vegetable shortening to help thin the candy but do not add any other type of liquid as the candy will seize and harden. Gently press five candy corn into the cream of each cookie. Using a toothpick, place small drops of dipping chocolate on the cookie and attach the eyes and another piece of candy corn for the beak. Allow candy to harden completely before serving. 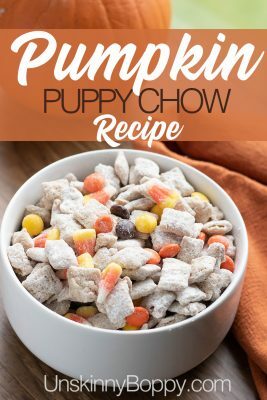 Looking for more fun Thanksgiving recipe ideas? 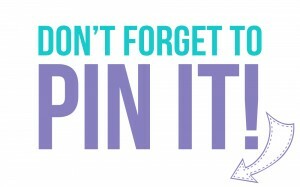 Here ya go! 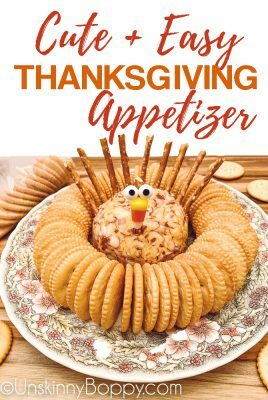 Cute + easy Thanksgiving Appetizer – Turkey Cheeseball!